There will be 12 regional science festivals all of which will host a range of events from one-day events, family activities, adult talks to school visits and workshops. These festivals will take place in Cavan/Monaghan, Cork, Eureka, Festival of Farming and Food (Teagasc), Galway, WexSci, Limerick, Mayo, the Midlands, Sligo, Southeast, Tipperary. 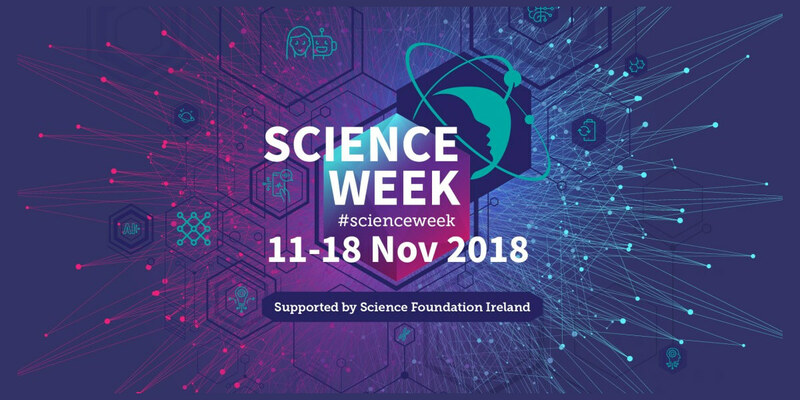 A number of funded Science Week events will also be showcased throughout the week, including events by Louth County Council, The Ark Theatre, The British Council of Ireland, Dublinia, Cool Planet Experience, Sirius Science, Imaginosity, the Science Gallery, ADAPT, The Rediscovery Centre, Blackrock Castle Observatory and Maynooth University. In addition to this there will also be some extra events that will be coordinated by SFI. This includes the Dublin Science Week Family Open Day at the Convention Centre Dublin, and various other events yet to be announced.